What I want to show in my work is the idea which hides itself behind so-called reality. I am seeking for the bridge which leans from the visible to the invisible through reality. It may sound paradoxical, but it is in fact reality which forms the mystery of our existence. 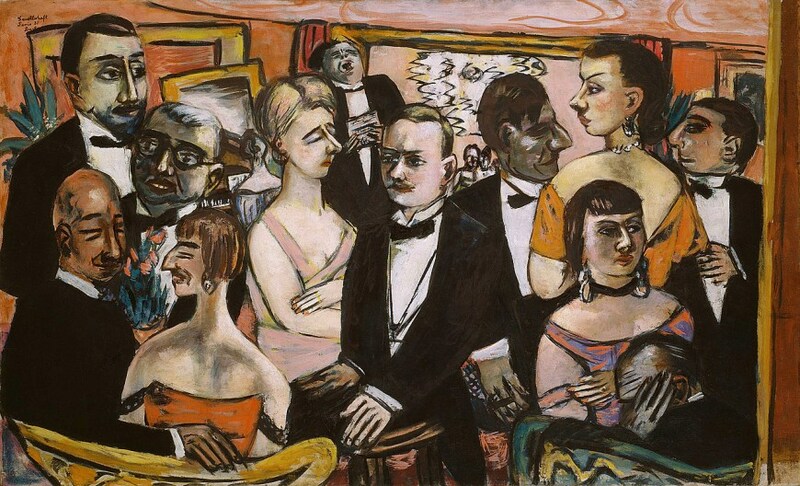 For some reason, the work of Max Beckmann has never found its way to this blog. 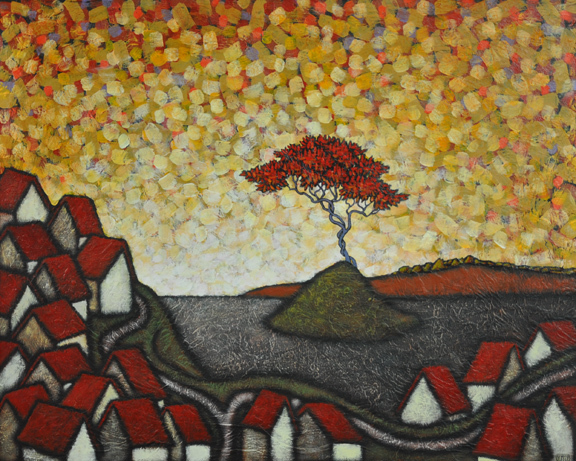 I have had an affinity with his work for many years. Part of that no doubt comes from the black linework that is present in much of his work as a result of his beginning his paintings on a black painted surface, which is something very familiar to my own process. This allowed his colors to expand off the surface, again something with which I can associate. 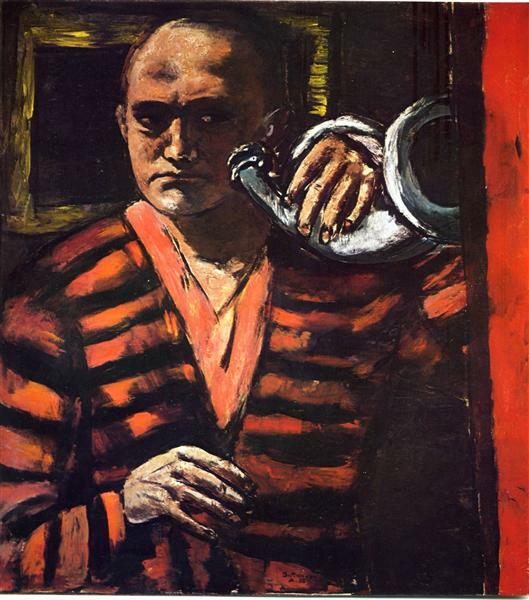 This made his colors feel brighter and bolder, giving his work a look that separated itself from the bulk of other artists in the German Expressionist movement with which he is most often associated. 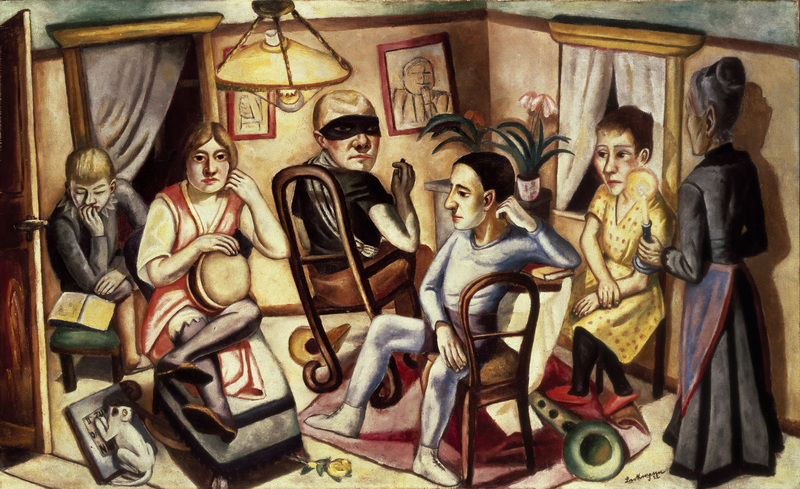 Beckmann was born in Leipzig, Germany in 1884 and from an early age showed a talent for painting. His first self portrait was painted at the age of 14. 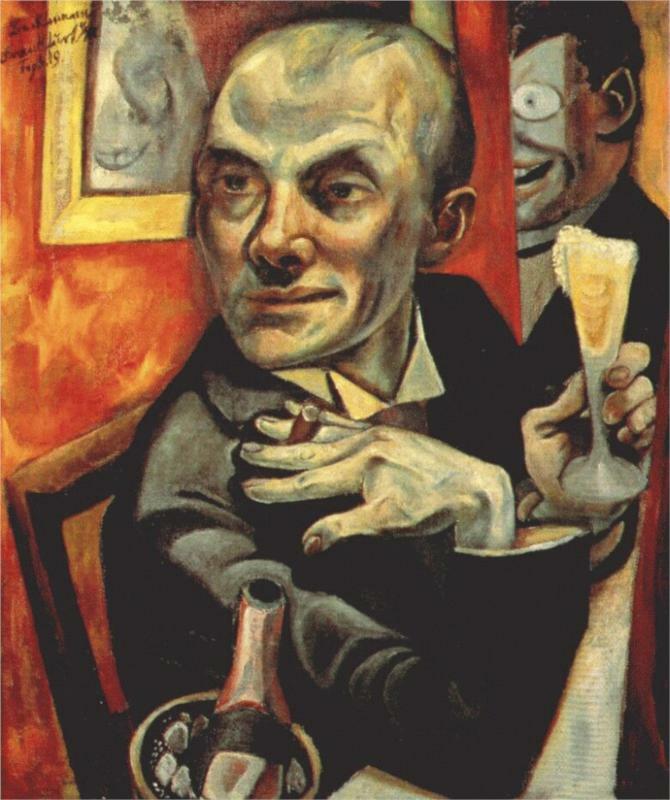 His self portraiture was an important aspect of his work as he painted at least 85 versions over the course of his life. Perhaps only Picasso and Rembrandt have documented themselves more. 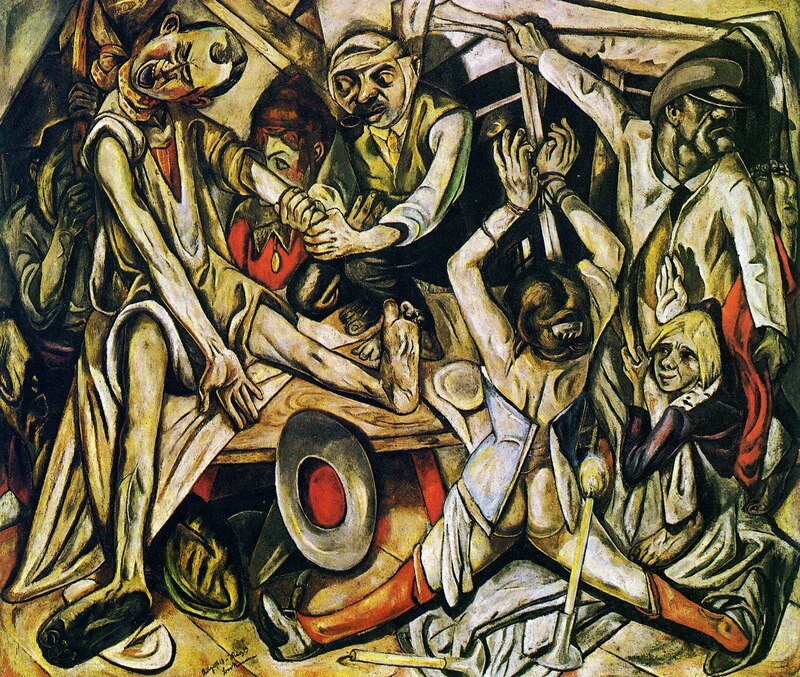 Beckmann served as a medic during the First World War and the chaos and violence he experienced served to inspire his work for coming decade of the 1920’s. 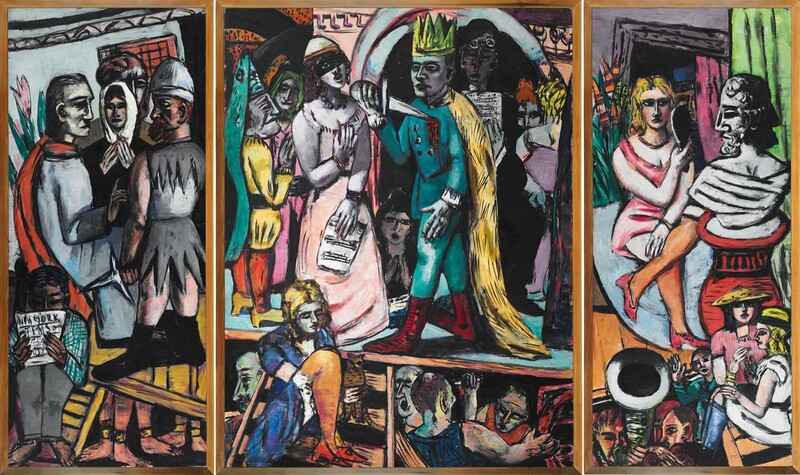 Working in Berlin in post-war Weimar Germany, Beckmann became a star, his work darkly documenting the existential doom that seems to mark Berlin of that time. 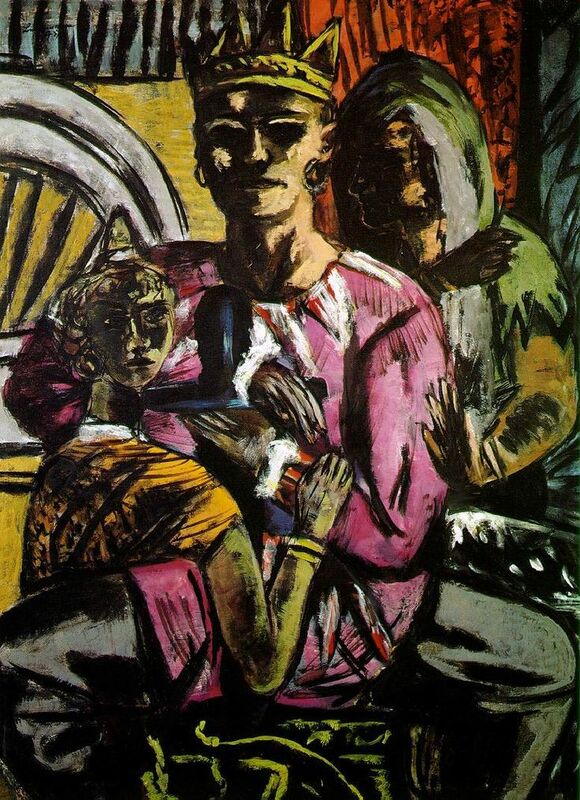 But with the rise of Hitler, Beckmann’s light faded in Germany. 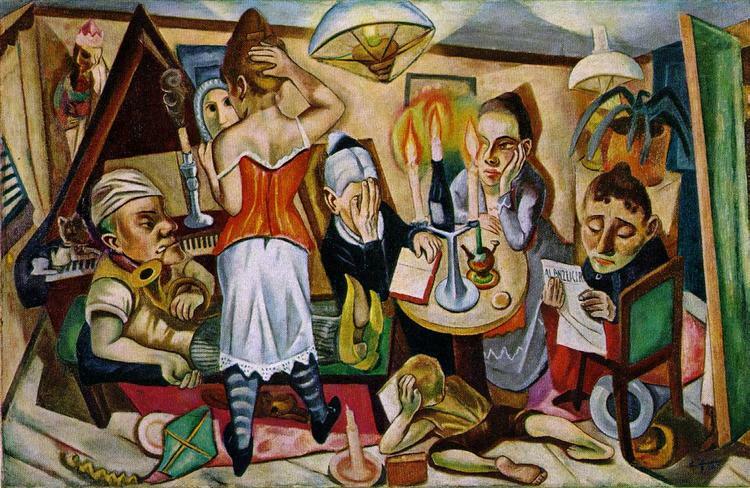 He was a major target for Hitler’s wrath toward what he termed Degenerate Art and fled to Amsterdam in 1937. There, he desperately (and unsuccessfully) tried a number of times to get a visa to the USA. But he survived the war and in 1948 emigrated to the USA. Over the course of the next three years, he taught painting at Washington University in St. Louis and the Brooklyn Museum. 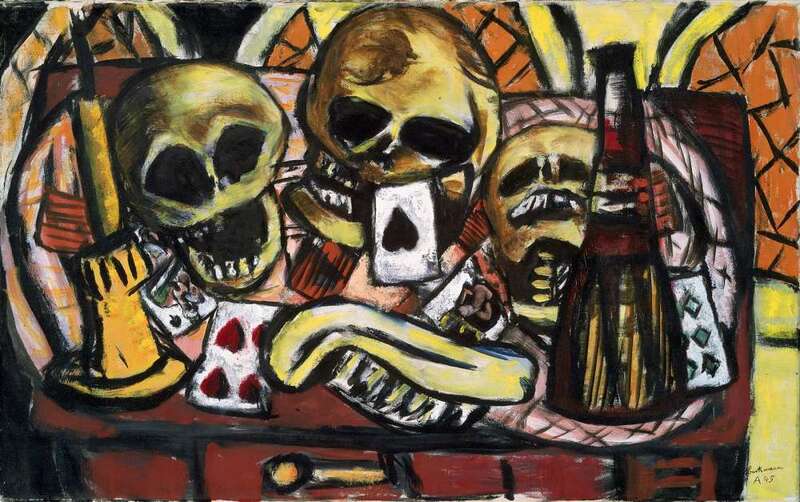 He died from a heart attack days after Christmas in 1950 on a Manhattan street corner as he was on his way to see one of his paintings at the Metropolitan Museum. As I said, I have always felt drawn to his work. His words speak equally as powerfully to me. He often writes of his attempts to decipher the mystery of existence that is present in the mundane. I think I can understand that. Hope you can take some time to look over his work a bit more.